Lubrizol Performance Coatings' mission is to make the worldmore beautiful through surface coating innovation.With decades of experience in dispersion, adhesion, surface protection and rheology control, Lubrizol is a leading supplier to manufacturers in various industries, including paints and coatings, printing inks, plastics, engineered paper, textiles, and packaging. Our broad product portfolio includes resins & binders, hyperdispersants, surface modifiers, performance additives and formulated solutions under the Carboset®, Hycar®, Solsperse™, Lanco™ and other brand names. 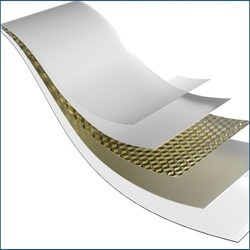 Lubrizol Advanced Materials has developed Release coatings based on wax and resins for the Hot Stamping foil market. Looking for Lubrizol Specialty Paper Coatings ?